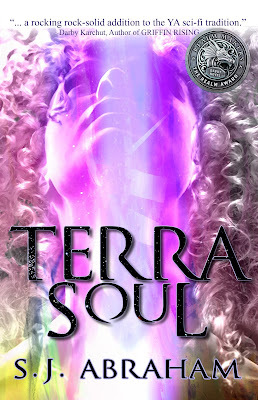 In celebration of my novel Terra Soul winning Debut Novel of 2016 don't forget to stop by my Contest Page for a chance at winning some cool prizes all August. At first there was nothing. Nothing at all. Then the light appeared and with it a flurry of language. Light. Dark. Pain. Eyes. Body. Cavern. The words spiraled into being down through my mind like a chain of Christmas lights flaring to life one after another. The ground seemed to move beneath me and I emerged from the cave blinking in the thin sunlight of an unknown world. And yet, as I looked across the new place I found that while the sights were new, the words and things he recognized. Sand. Lake. Trees. Desert. Oasis. People. Thousands of other words, an entire language seemingly, came crashing into my brain with enough force to make me sit down on the sandy ground at the mouth of the cave. I looked down at my hands and found them both familiar and strange. Something was missing. “Hello.” The word came out before I knew what it meant. I looked up at the speaker and found myself looking into a face without worry. The old face was smooth and the eyes clearer than they should have been. The old man helped me to my feet. “I have been at the Oasis longest of all those here,” the man said as he lead the way to the oasis. Our sandaled feet padded in the powdery sand that was the same dull white as the long, high collared smocks we wore. It took only a few moments for us to pass beneath the shade of the trees and reach the lake’s edge. It rippled and flashed under the brittle sunlight. I could see others gathered beneath awnings of bright yellow, young, old, men, women. The old man looked at me with his vacant, worry-free eyes. A corkscrew (corkscrew?) of emotion twisted in my guts, searing hot one moment, icy cold the next. Rage. Terror. Horror. That was what was missing. My name and with it my power. Someone had taken it from me. I did not know how I knew it but I did. Someone had taken my name, stolen it, taken away the essence of who I am and left behind… what? What am I without a name? I turned away from the oasis and looked out through the thin screen of trees and bushes at the endless tracks of the dunes. I glanced in the opposite direction. On every horizon there was nothing but dunes. Oldest spoke but I did not hear. I chose a direction at random and strode out into the desert. I would tear the world apart to find my name and when I got it back… I did not have the words to say what I would do. “I am going to find my name!” I shouted scrambling up the shifting slope of the nearest dune. Well, it's official. 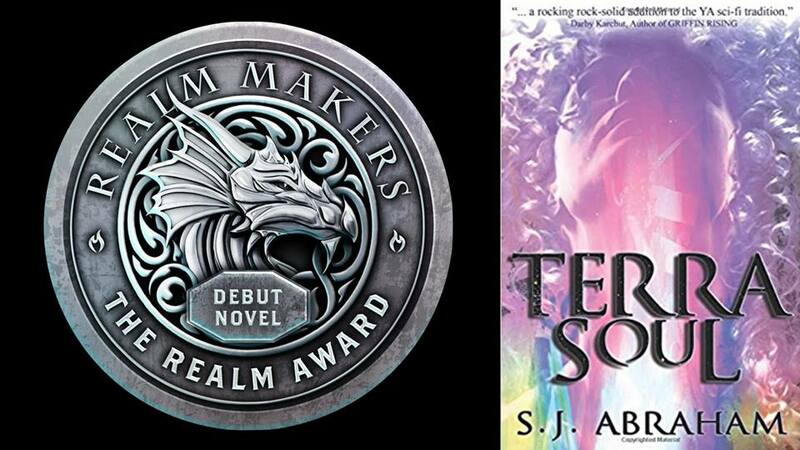 As of July 30, Terra Soul officially became Realm Makers' Best Debut Novel (2016). I really wanted to attend the conference and awards dinner in Reno, but with the prior three weeks consumed by travel I just couldn't force myself to go one more place. Still, I'm blown away that literary professionals read my story and not only thought it was good but thought it was the best! I'm humbled, thrilled and looking forward to doing some more self-promotion. Weeee. Speaking of self promotion, check out my contests page to participate in my latest giveaways in honor of this achievement. Also, please note, I've reduced the price on all versions of Terra Soul, save those on Ingram Spark (which takes a month for price changes to go into effect). I'll be putting the electronic version on sale soon, as well, so watch for that if you're a Kindle user. Now you'll pardon me but I have to go update my covers with a really awesome award seal and try to do a little writing on my next story.